Wooden honeycomb necklace with collar pendant. 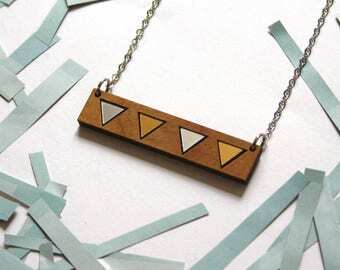 Wood necklace for man or woman (unisex jewel). Alveolus / alveolate pattern inspirated by nature and futuristic design. 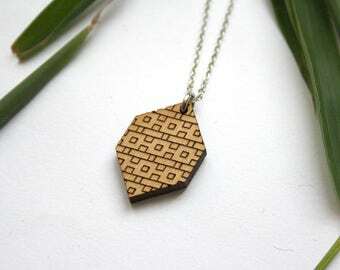 ▲ The wood shape is laser-cut and then assembled by hand. 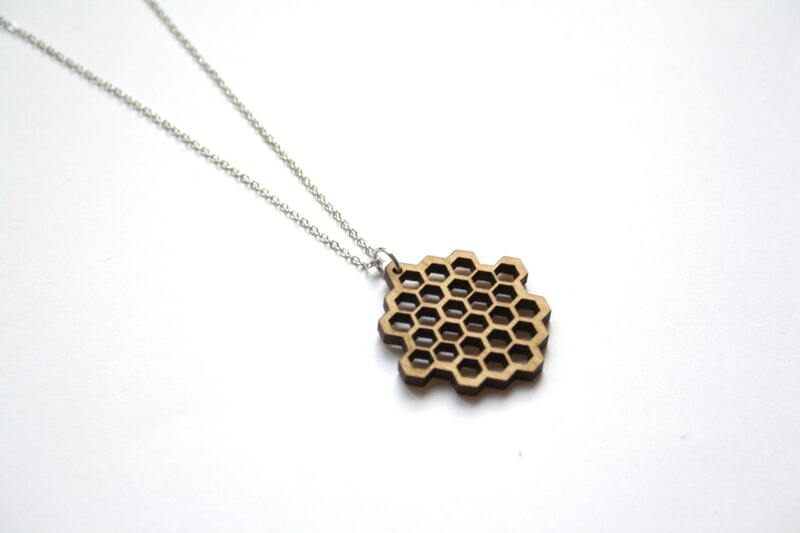 Honeycomb details are laser cutted. Design and manufacture are made in France. Wood shape size: 3,4 cm x 3,4 cm (= 1.338 inch x 1.338 inch). Thickness: 3 mm (= 0.118 inch). Chain: silver colour, 40 cm (= 15.74 inch). Stainless steel, nickel free. Wood is a natural element that can have some variations (color, texture, nerves) who give a unique side to this product.